Central Florida Medical Malpractice Attorneys - Malik Law P.A. Each year in the United States, thousands of patients suffer injuries as a result of medical malpractice. 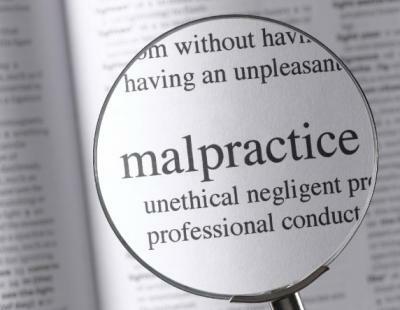 Malpractice may include negligence or errors on the part of a healthcare provider. Medical workers that commit acts of negligence or misconduct may be held liable for resulting injuries. If the medical worker was directly employed by the medical care facility in which the malpractice occurred, the medical facility may also be held responsible for the injuries. Medical malpractice may include any treatment that does not meet the standard of care expected. This is not only relevant in hospital settings, but may include dentist offices, chiropractic offices, OBGYN offices, and other places where medical care is administered. Types of medical malpractice may vary greatly depending on what type of medical care is being administered. To be considered medical malpractice, certain elements must be present in a case. The plaintiff must first establish that a relationship existed between the doctor and patient. The plaintiff must then establish that the doctor owed a duty of care to the patient and breached that duty in some way. The plaintiff must then provide evidence that this breach of duty caused damages, harm, or injuries which caused the plaintiff financial losses, pain, and suffering. An experienced medical malpractice attorney should be hired before filing a medical malpractice claim. A malpractice attorney is knowledgeable about the medical field, and understands the steps to take in order to file a successful malpractice claim. Medical malpractice attorneys can help victims of malpractice gather the evidence and expert testimony that is necessary to help prove claims. Medical malpractice claims are brought against medical institutions often, and many of these claims are fraudulent. The common occurrence of fraudulent malpractice claims makes it more difficult to file a legitimate malpractice claim, as every claim is faced with skepticism. Fraudulent claims may be an intentional attempt by an unharmed patient to receive monetary gains. Fraudulent claims may also be brought forth by patients that have been injured in the course of treatment due to natural hazards that are inherent and not malpractice. These cases are often dismissed when expert testimony cannot be obtained to support a malpractice claim. In many cases of medical malpractice, it is necessary to obtain testimony from an expert in the field in which the malpractice occurred. This testimony may help to prove that the medical professional in question acted in a manner which was not reasonable in the situation. An expert can provide testimony on the normal course of action that should have been followed, as well as what a patient would expect to experience following such treatment. All states in the United States have statute of limitations laws that require victims of malpractice to file a claim within a certain amount of time. These time limitations may vary from state to state and may be subject to exceptions in certain cases. If a malpractice victim falls below a certain age, or if it is found that the medical institution intentionally concealed evidence to prevent victims from filing a claim within the allotted time frame, statute of limitations laws may not apply. The compensation which is awarded for medical malpractice will mainly be based on the costs paid by the patient to correct the injuries suffered as a result of the malpractice. Patients may also receive compensation for pain and suffering, especially if the resulting injuries affect the patient’s livelihood or cause permanent disabilities. In some cases, punitive damages may be awarded to the patient to further penalize the medical worker or institution in order to discourage future occurrences of malpractice. “All Injuries.” Centers for Disease Control and Prevention. Centers for Disease Control and Prevention, 14 May 2014. Web. 6 June 2014. “Medical Malpractice Trials.” Bureau of Justice Statistics (BJS). Bureau of Justice Statistics (BJS), 23 Apr. 2010. Web. 6 June 2014. Sohn, David. “Negligence, Genuine Error, and Litigation.” National Center for Biotechnology Information. U.S. National Library of Medicine, 15 Feb. 2013. Web. 6 June 2014.